A restructured storyline for the most interesting character from ‘Death Proof’. 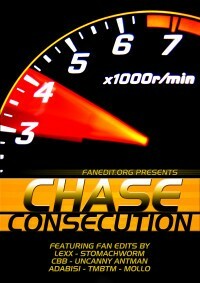 [Chase Consecution] a mixed bag with Stuntman Mike and Fast Blood being the big stand outs. Uncanny Antman produces another fantastic FanEdit with Stuntman Mike. It is bristling with energy and humour. As usual the editing and sound design are faultless. I am also glad that Uncanny’s trailer is included as it is beautifully made. Stuntman Mike was entertaining, but I didn’t understand why the part with the police needed to be in there. That Mike survived could in some way have been explained by him proclaiming his car to be “Death Proof”. Didn’t feel really like a story, but was entertaining, and had a great ending. 6 / 10.